Healthcare project management can be intense. Why? Because the stakes are higher. Like other organizations, hospitals that practice effective project management will benefit from lower costs and improved outcomes. But patient well-being is also a factor, which makes project management in healthcare more complex—and very important. It’s worth the investment and effort to make sure it’s done right because the hospital and patients will always benefit. It may sound silly, but defining the word “project” is one of the first steps your organization needs to take when introducing the project management discipline within your walls. It’s such a commonplace term, it can unwittingly cause confusion because everyone assumes that everyone else defines it the same way. In reality, any number of things could be categorized as a project, yet it remains distinctly different from a task, a program, or even a strategy. For the sake of clarity, your organization should create a detailed, specific description of what is defined as a project. One fundamental principle of a project is that it has a start and end date, whereas something like a program or objective would not. Accordingly, this makes the discipline of project management about controlling and coordinating those dates, and everything that happens in between. Your project should also have an owner (someone who is accountable) and a budget. A budget means that tangible resources are allocated to this project. Initiate: Define the scope of the project, including projected costs, outcomes, and risks. The scope will then be reviewed and (hopefully) approved by the management team. Plan: Plot out each step of the project, setting deadlines, creating a budget, and assigning responsibilities. Decide how to measure the project’s progress (and return on investment). Execute and monitor: Begin executing on the steps outlined in the planning stage. Monitor and measure progress on a regular basis to ensure the project is on track. 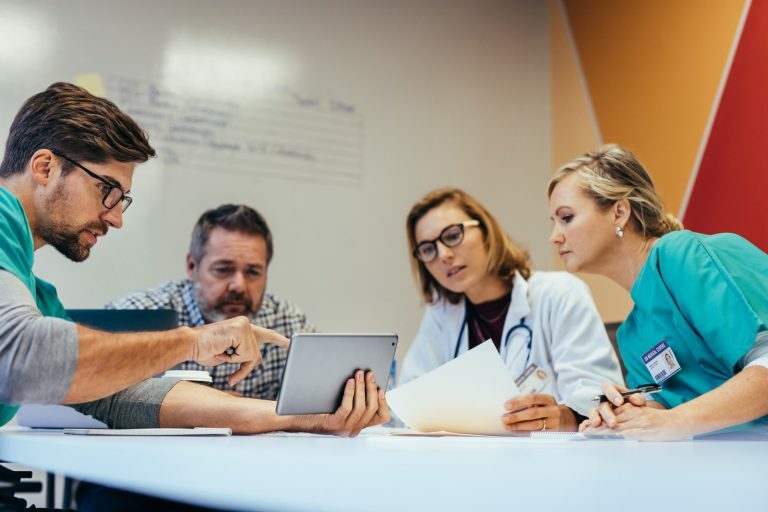 Adjust the project plan—including the schedule and budget—as needed to minimize any negative ramifications.The execute and monitor stage is unique in healthcare project management. This phase is much more intensive at hospitals than at other organizations—there are more layers of stakeholders who need to sign off on every step of the process. In this sense, hospital project management is special because so much effort goes into getting approvals and ensuring regulations are met. Close: Properly conclude a project by creating a document that summarizes outcomes, deliverables, and lessons learned. Reviewing these details with your leadership and project team will improve your project management process in the future. That was the short version of how to manage projects. If you want the full story, read this handy field guide. There are harsher and more serious ramifications if projects go over budget or off schedule because patients’ well-being may be at stake. Any mistake or lack of process can have a detrimental effect on patients. One example of high-stakes project management in healthcare is the industry-wide initiative to switch from paper to electronic records. Any business would find this difficult from an IT standpoint, but healthcare facilities face much higher stakes because of the need to protect patient information per HIPPA regulations. If private data is exposed or shared in an inappropriate way, the facility is at risk for litigation. Effective project management in healthcare facilities can mitigate the risk and prevent legal issues from arising. On top of that, if the project isn’t managed well, doctors and other healthcare providers may not see all of the critical patient data needed to make a decision. The percentage of insured Americans is the highest it’s ever been. The increased demand for healthcare combined with rising costs has put more pressure on the industry to deliver economical, high-quality services. Trying to find the balance between efficiency and quality places even more importance on the need for better project management. The healthcare industry faces more regulations than other industries, including HIPPA’s patient privacy laws. There’s a heightened need to protect sensitive information and, to do that, facilities have added layers of approval. Projects often must be signed off by the hospital, local, and national governments. This leads to more complex projects and more rigorous project management requirements. The healthcare industry is service-oriented and made up in large part by highly-skilled practitioners—in other words, people can’t easily be replaced by technology. While there’s an increasing demand for healthcare, there’s a shortage of healthcare professionals, which is negatively impacting productivity. Effective project management can help span that gap. One of the strengths of project management is that it helps mitigate risk, which is incredibly important in the litigation-prone healthcare industry. Establishing clean, efficient processes is the primary way project management reduces or eliminates risk. For example, a hospital that initiates a project to define the best pre-surgery process (e.g. setting up the room, checking dosages, paging the anesthesiologist, etc.) can limit mistakes made by the operating team. Many of these challenges, from heavy regulation to high risk, translate to a lot of cooks in the kitchen. Hospital project management involves a lot of diverse stakeholders. Some projects require approval from hospital boards, providers, patients, and state and national governments, which can only be handled well with project management. 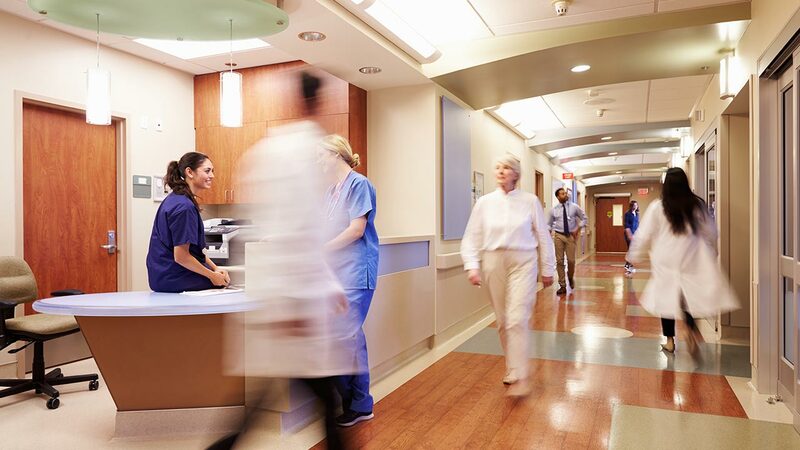 When done right, the practice of project management is invaluable to healthcare providers. It helps organizations make improvements and operate more effectively in a variety of areas. 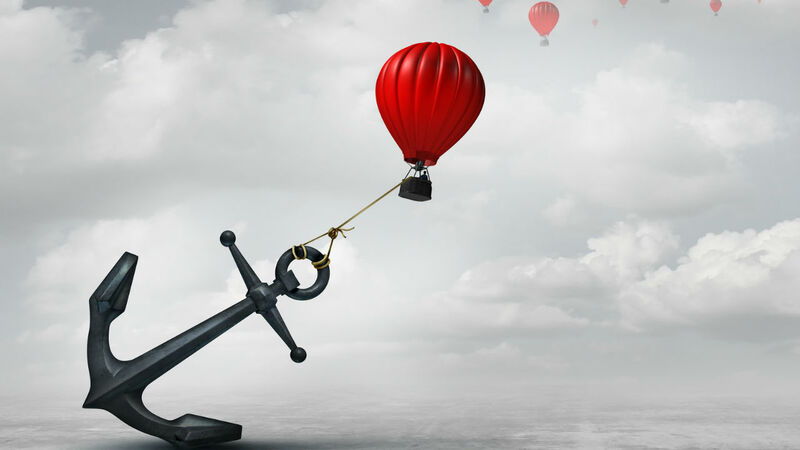 Perhaps the biggest benefit of project management in hospitals is it helps mitigate the risk of litigation that looms over every healthcare organization. Establishing step-by-step processes eliminates as many negative outcomes as possible. For example, think about everything a surgical team needs to do prior to a procedure—from setting up the room and sterilizing the surgeon’s hands to checking the anesthesiologist's dosages, there are a thousand tiny details that can’t be left to chance or memory. A clear process increases positive results for the patient. A bedrock element of project management is rigorous planning. When you initiate a project, you’re putting the steps in place to keep it on track. And once that first project is complete, you can take the lessons learned and use them to improve your planning for the next round. You don’t have to reinvent the wheel on how to execute a process and you’ve launched a continuous improvement cycle that helps you get better, faster. Project management aligns money with activity. In other words, it “keeps you honest” and ensures you have the funding for your efforts at various stages of a project. For example, you’ll know if you have the budget to launch a project. If and when unexpected costs come up, you’ll have a system in place to update the budget and re-prioritize if needed. This is another primary differentiator of project management in healthcare versus other industries—there are a lot of people involved in the care of an individual, so clear communication is critical. One of the biggest causes of mistakes in hospitals is staff turnover. For example, if a physician who’s coming off call does a poor job communicating a patient’s current situation to the physician who is assuming care, that can lead to negative outcomes. Communication between physicians, nurses, and other hospital staff has a huge impact on a patient’s well-being. 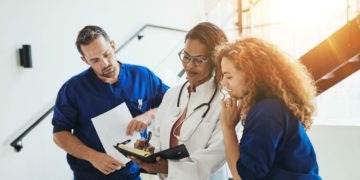 Standardizing and documenting operations promotes clear, open lines of communication because everyone in the hospital knows exactly the actions they should take at every step in a process. Open communication also fosters a culture that encourages staff to speak up if they see fault lines in processes. So, in the context of a project, if your project causes a change in the process of treating individuals, then you need to communicate with many people, across many shifts, and many times, so they understand the new process. In some ways, project management is a PR tool. You’ll have a defined practice around planning, managing, and tracking projects, which means you can easily keep stakeholders informed on progress and results. You can share how you’re making improvements or changes, and more importantly, publicly celebrate wins. Communicate openly with the organization: Have a standardized, open planning process. Gather feedback from different departments, across the organization, to encourage participation. Make team members feel their voice is valued and encourage them to speak up on potential issues or roadblocks. Streamline your process: Once you define your project management process, make it easy to implement and execute. Use tools that make planning next steps and tracking progress simple. Yes, there’s strategy management software that can automate a lot of the process. Expect the unexpected: Update your plan and budget when the unexpected happens, whether it’s an Act of God, a new federal regulation, or something as simple as the stubborn design of an existing building preventing an upgrade. Document results for learning: Summarize roadblocks and solutions, outcomes, lessons learned, unexpected occurrences, and general do’s and don’ts. This helps improve your project management process and gives you a chance to celebrate wins. Understand regulations and governance: Develop your knowledge about the unique requirements demanded by the industry’s heightened regulations and governance (very important!). The main reason to invest in effective healthcare project management is because there are such high stakes in the industry. Patients’ lives are being affected. By using the right approach and tools for project management, you can save lives and boost patient well being, as well as improve daily processes and outcomes of all healthcare providers working in the industry.